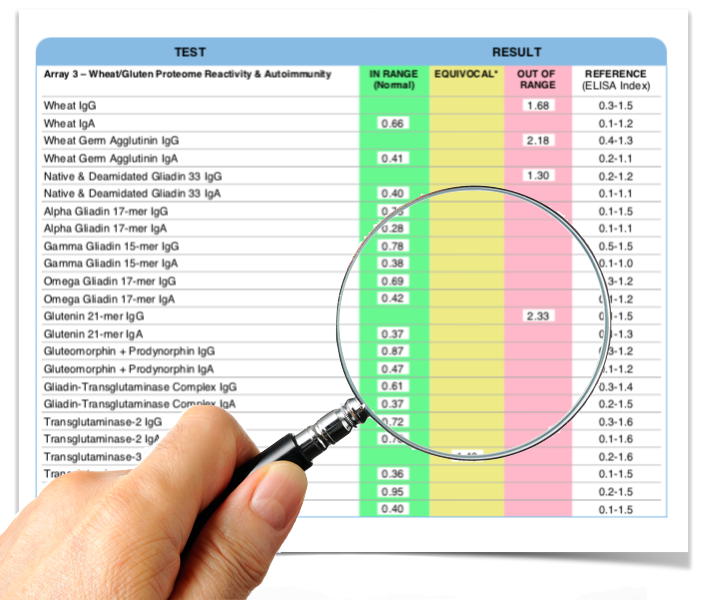 You are here: Home / Energy Foods / Is Food Intolerance Testing Accurate? In November of 2018, CBC Marketplace and the National Post condemned the validity of IgG/IgA food intolerance testing. Although they made some good points, they misinformed the public by leaving out some important positive uses for IgG/IgA food intolerance testing. The truth is food intolerance testing can be a good tool to help patients discover what may be giving them some health problems. Last week, I wrote about the importance of identifying food intolerances. Identifying food intolerances and eliminating them can help prevent chronic illnesses like autoimmune diseases and it helps to improve your health and quality of life. Fast results. Doing an elimination and reintroduction diet properly can take a total of about three months to complete. Even after doing that there can be some uncertainties in what you are intolerant to. Getting your blood drawn and having it sent to a reputable lab for analysis takes about three weeks. Can help provide more certainty. If you are uncertain about a specific food or foods you may be intolerant to, the food intolerance testing can help fill the voids and provide you with more certainty. One disadvantage of food intolerance testing is that it can be PERCEIVED as expensive. For example, Cyrex labs does a very good wheat and gluten intolerance test for over $300 US and bundles three food intolerance tests for about $1,000 US. To put this into perspective my mechanic charges me about $1,500 to get new tires put on my truck and a patient of mine the other day was looking at a pair of boots for $400. Sometimes you have to ask yourself what’s your health worth? How valid are these IgA/IgG food intolerance tests? First and foremost, I don’t know any lab test out there that is 100% accurate. Every test has false positives and negatives. 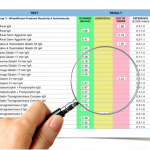 Is an IgG/AgA food intolerance lab test any different? No. There should be a good reason to do the test based on the current understanding of human physiology and the specific disease processes the test is used to identify. The test results should have been published in a peer reviewed journal and replicated by other research groups. Based on a lot of the studies I have looked at with IgA and IgG food intolerance testing it looks like the answer is no. Some studies conclude this type of testing is consistent and reproducible and some say it isn’t. So why is there such a difference? The proteins in foods should be purified (isolated) from other components in the food to limit false positive results. The lab should be running the sample twice to make sure their results are consistent and reproducible. The lab should be testing food in a raw or cooked state based on humans would eat it. Cooking changes the protein structure in food. It doesn’t make sense to test the protein in raw meat does it? Yet there are labs that test these types of food in the raw state. I have to admit I have seen some patients bring in their IgG/IgA food intolerance lab results from a variety of labs with food intolerances to LOTS of foods. Even whole foods like fruits, vegetables and meat. So I question whether the labs doing these tests have methods and procedures to meet the above criteria. There is one lab that does meet the above criteria. The lab is called Cyrex Labs. The chief scientific director is Dr. Aristo Vojdani. Dr. Vojdani has a Ph.D. in microbiology and clinical immunology and has published over 100 peer-peer-reviewed articles in scientific journals. Again, the gold standard for identifying food intolerances for yourself would be to do a proper elimination diet for 30-60 days and then reintroduce each food you have eliminated one by one every three days. This process can take approximately three months or more. For most people, they need to seek some professional guidance to carry out this diet effectively. If you’re the type of person who isn’t ready to adhere to this arduous process, then I would recommend you get the IgA/IgG food intolerance lab test done. Get a health professional registered with Cyrex Labs to order you a lab kit. You will need to get your blood drawn from lab willing to do this work for you and your health professional. If you know you are 100% gluten free already and you are committed to never eating it, then there is no point in ordering this test. It’s a great test, but why waste your money on it. However, if you are still eating some gluten or want to enjoy it occasionally then I would highly recommend you get this test done. There are many serious health conditions either associated with or directly related to eating gluten (‘Is Gluten Bad For You?’). If a patient of mine tests positive for one or more of the proteins in this test, I will advise them to remove wheat/gluten from their diet for the rest fo their life. Patients who have celiac disease or a non-celiac gluten intolerance are more likely to react to dairy proteins and some of the other proteins in this lab test. I recommend this test for patients if they have tested positive to the Cyrex Array 3 test. I also recommend this test to patients who have done the elimination diet and are still unsure about whether they are reacting to dairy or some of the other foods in this test. If a patient tests positive for one or more of the foods in this test, the patient won’t necessarily have to remove that food from their diet for the rest of their life. We may remove the foods they are reacting to in this test while we are treating some other underlying gut problems (gut infections, dysbiosis, or an overgrowth fo bacteria). We may bring those same foods back into their diet later and then retest them with Cyrex Array 4 again. This test looks at all other kinds of foods you typically eat like fruits, vegetables, meat, etc. 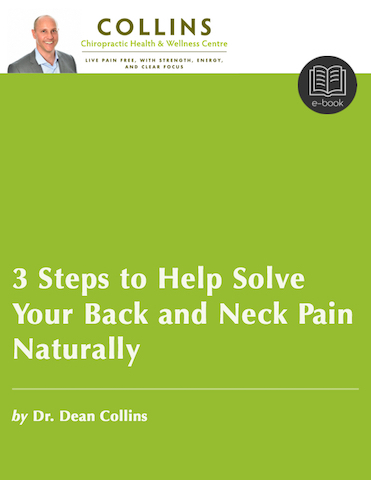 We would recommend this to patients who are still struggling with health issues even after addressing underlying gut issues or other health problems. Maybe the patient will have to remove multiple foods just to feel better while they are working through at addressing other underlying health problems. There is a lot of controversy, misunderstanding, and misinformation regarding IgG/IgA food intolerance testing. Hopefully, this article helped give some clarity on this subject matter. Cyrex Labs has great information about their tests on the website. So I would encourage you to visit their website if you want more information about that.